On Saturday, April 13, 2019, the Farnsworth Art Museum in Rockland, Maine will open a major exhibition of close to forty works by 13 artists whose work contributed to Maine’s important place in the evolution of contemporary art. Entitled Slab City Rendezvous, this exhibition will include works by Rudy Burckhardt, Lois Dodd, Rackstraw Downes, Red Grooms, Mimi Gross, Yvonne Jacquette, Alex Katz, Neil Welliver, and Bernard Langlais, among others. 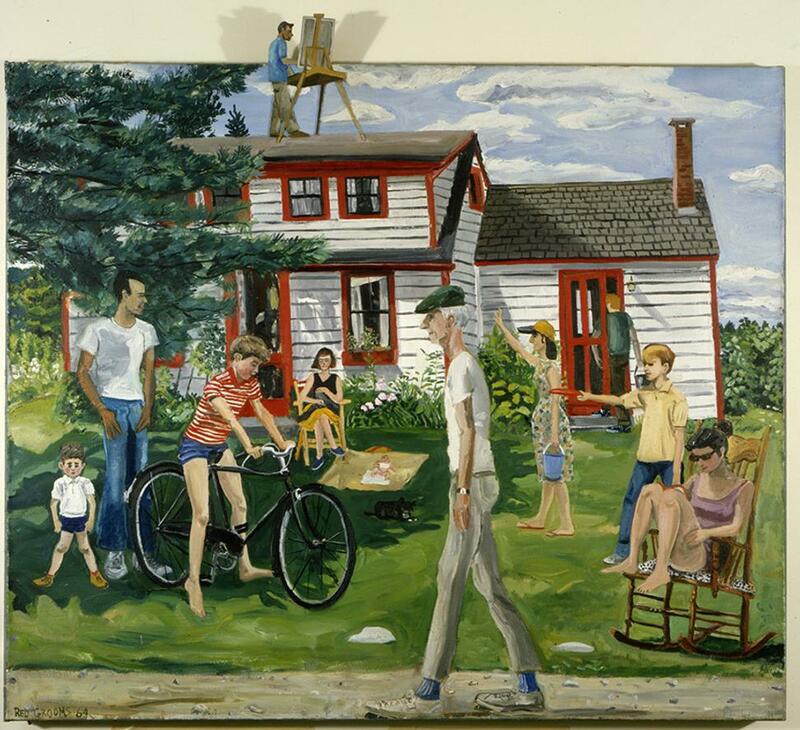 Slab City is the name of the road in the Midcoast village of Lincolnville on which Katz and Dodd bought an old farmhouse in 1954, beginning the summer gatherings of these artist friends. The show will be on display in the museum’s Crosman Gallery through February 9, 2020.